Rachel Burditt is a professional declutterer, better known as the Declutter Darling. She is the UK’s answer to Marie Kondo, helping us all live bigger lives by decluttering our living space. 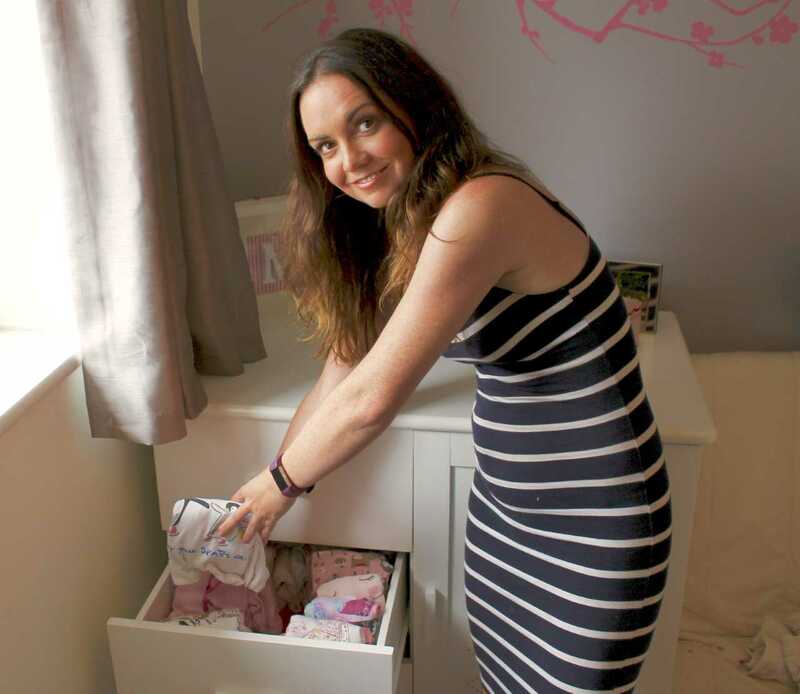 We caught up with her to find out more about how she turned her passion for tidying into a career and what her exciting job entails. Get a FREE TRIAL storing a small box for a month on us. Use promocode DECLUTTERDARLING at checkout. Good luck with your journey to a tidier, happier life. Q: Hi, thanks very much for fitting us into your busy schedule! So how did you become a professional declutterer? I used to work in Fashion in London which I loved, but I always had a burning passion for interior design and organising the home. Following maternity leave after my first child, I really wanted to focus on building a career I loved. I have always followed professional declutterers on social media and thought to myself “I could do that!”. So I decided it was time to bite the bullet and set up my own business – The Declutter Darling was born. Q: Who was your inspiration when setting up The Declutter Darling? There are loads of amazing professional declutterers and organising consultants out there at the moment but my main muse was definitely Marie Kondo. 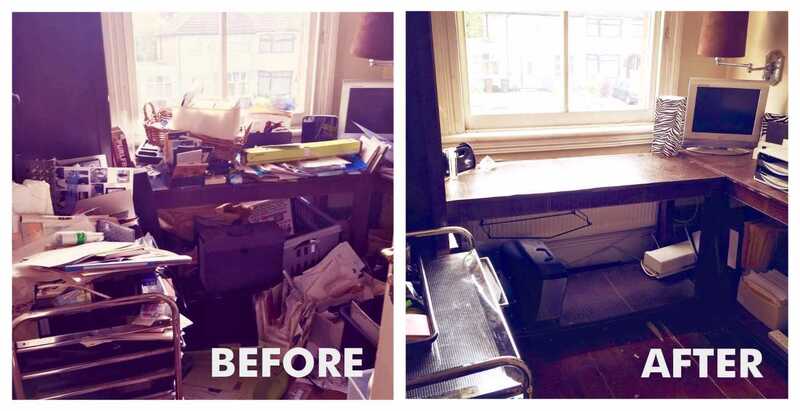 Her book “The Life Changing Magic of Tidying Up” really did just that… it changed my life! I was fascinated by her simple methods and practical approach to clearing your mind by decluttering your home. I still refer back to her books now for inspiration and tips. I am also a huge fan of Lisa Adams, the founder of LA Closet Design – her wardrobes are to die for! Q: Why are you so passionate about decluttering? I genuinely believe that when you organise your physical space you are also clearing out the stress that comes with living around clutter. I have seen first hand how much people’s lives can improve when they declutter their homes – it is so much more than just a quick tidy up. It is a way of life. Q: How have you helped change people’s lives? One of my favourite examples is a client I had last year who used her dining room as an extension of her wardrobe. There were clothes and accessories everywhere, leaving no space to use it for it’s purpose. As a result, the family were having dinner on their laps around the house. I helped this lady organise her wardrobe, sorting through all the clothes she really wanted to keep that “sparked joy” as Marie Kondo would say, and which would be stored or donated. Once we had cleared out her things, the items she actually valued and wanted to keep at her house fitted neatly into her clothing storage and there was no over spill into the dining room. I used my knowledge of interior design to help her source the perfect dining table for her and her family. The young family now eat dinner together in their dining room every night, laughing, chatting and making memories. I feel extremely proud that I had a part to play in helping them spend more quality time together in a positive and clutter-free environment. Q: What would be your one ultimate tip for anyone looking to declutter their homes? It is really, really important to organise your home in the right order. 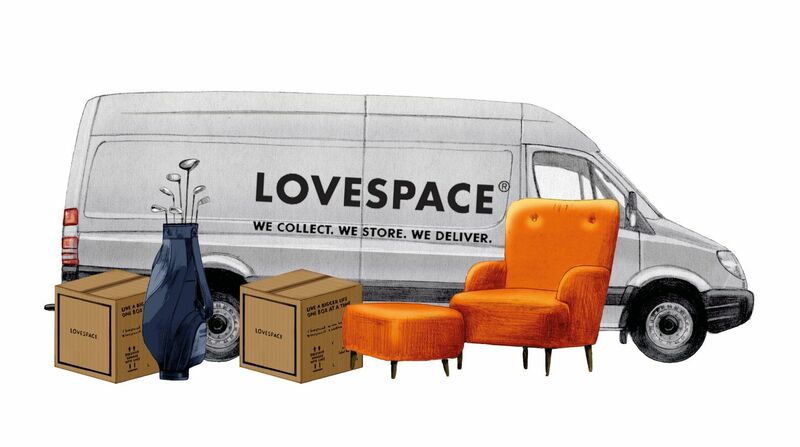 Before you start looking at what the best storage solution is for you, make sure you have fully sorted through all of your belongings first. It is sometimes tempting to buy storage drawers or neat baskets to tidy your home quickly. Whilst these can be great, to truly declutter you need to sort through all of your belongings and determine what sparks joy and therefore what to keep. Then, once you have decided what can be donated, stored or binned you are in a great position to start organising the things you want to keep in your home. You should then follow Marie Kondo’s top tip and make sure you find them all their own perfect spot where they belong. Or as my husband says, you can always marry a professional declutterer! Then you can’t go wrong. Q: What does a typical day look like for a professional declutterer? My alarm goes off at 6.45am every morning to give me enough time to get showered and dressed before waking my little darlings at 7am. We head downstairs for breakfast which I lay out the night before. The cereals are all in labelled containers and the kids know where the bowls and spoons are kept so they help themselves. After breakfast I get them changed into school and nursery outfits hung up in their wardrobe the night before. I find that these small preparations the evening before really helps speed things up and keep to a routine in the morning. Once I have dropped the kids off at school and nursery, I head to my first client of the day. My clients vary massively, but a really interesting client I visited the other morning was a lady looking to declutter her office. She wanted to start her own business and work from home, but at the moment was using any old cramped space around the home. She needed an organised space so that’s what I did for her. Together we went through all of the junk in her spare room, and sorted it into 5 colour coded bin bags: Keep, donate, sell, chuck and store. The room was then much clearer to start arranging the furniture and decor to make a comfortable and inspiring place to work. I have a quick lunch and head over to meet my next job. 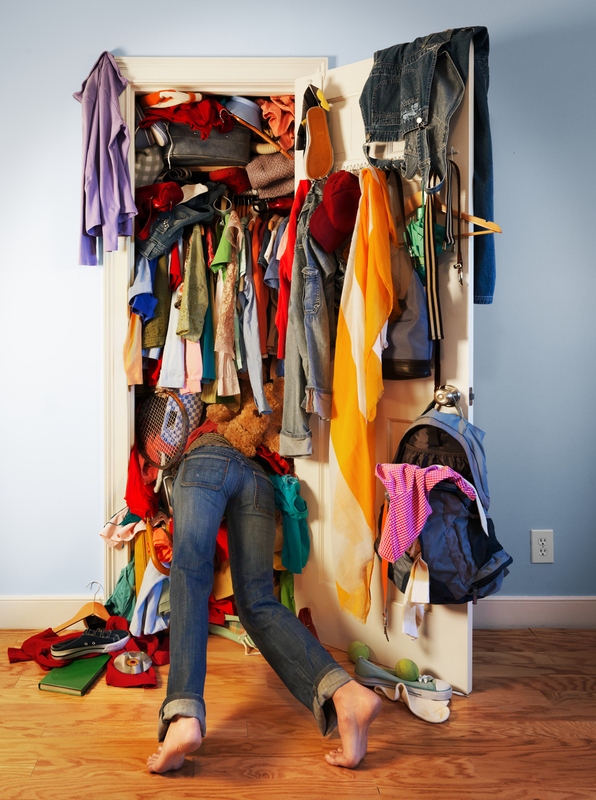 I have a few regular clients, who have larger scale decluttering jobs which we work on in stages over time. An afternoon at a regular client would involve discussing progress from the last session, and ensuring that we are working towards their goals. One of my regular clients downsized her house but kept all of her belongings, so could no longer move in her bedroom for clutter! She is completely overwhelmed by the task of decluttering her home so I am there to help her take it step-by-step and give moral support. On a busy day I will go and see a third client in the afternoon. One of my favourites is a footballer and his wife who regularly ask me to come round and organise their wardrobe. This is the dream for me – I get to arrange beautiful handbags and designer shoes! Sometimes in the evenings I will visit potential new clients for a consultation. I try and do these in the evening as that is the best time for my busy clients who work all day. We talk through what their decluttering goal is, why they want to do it and we work out where to start. Every job is a new challenge, which I love. Then it’s back home for dinner time with the family. After dinner when the kids are in bed, I try and have some “me time” where I can catch up on what’s hot in the world of decluttering. I am genuinely so passionate about my job that I love flicking through and seeing what other professional declutterers are up to. It’s good to stay on top of trends and get inspiration. I like to look at a range of decluttering influencers such as DeCluttr Me and Simply Spaced. DeCluttr Me is based in Dubai and Simply Spaced in the US – It’s useful to see what professional declutterers are doing in other countries. After a long day like this, it is time to unwind and go to bed! Up at 6.45 tomorrow morning to do it all again. Q: Wow it’s all go in your world! So in summary, what’s the best part of your job? It can be tiring but I absolutely love my job, I wouldn’t change it for the world. The best part is definitely the variety, there are so many different ways that decluttering can help improve people’s lives. It helps people reduce their stress, increase their productivity and all sorts! Thanks for that Rachel, you’ve inspired us to start thinking about ways we can declutter our lives!